With the Christmas holidays nearly upon us, we just wanted to wish all our clients a very Happy Christmas and to let you all know of our office hours over the festive period. 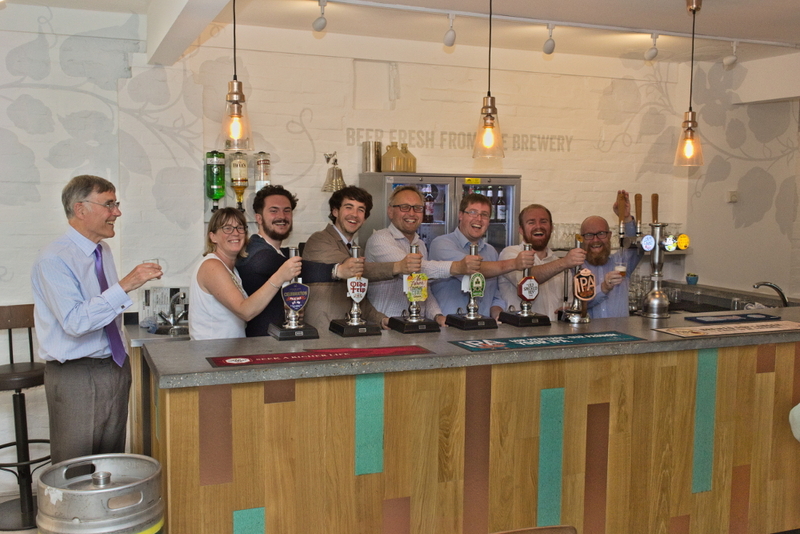 Last office day – Friday 21st December 4.00pm at which point we'll be heading down the pub to start the festivities. We will then be back in the office on Wednesday 2nd January 2019. Wishing you all a very Happy Christmas and a prosperous New Year! We've been very fortunate to have had a great couple of work experience placements over the summer. Patrycja was with us for a couple of weeks and made a great contribution to the team, helping to develop CAD drawings for current projects. Hopefully we've been able to give her a great introduction to the world of Structural Engineering and we wish her all the best as she starts her final year of GCSEs. 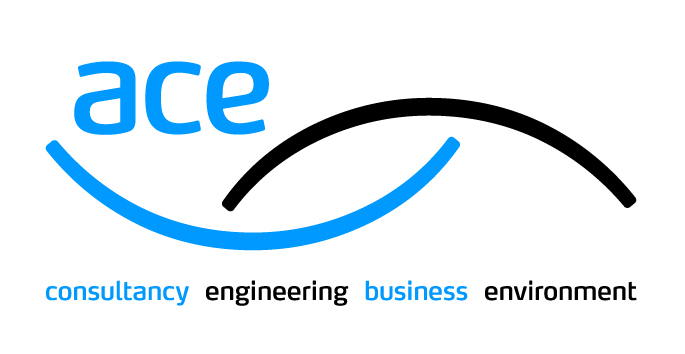 Alfie is currently at Sheffield University and had a placement with us over the summer to help cement his current studies with real life engineering. Working on a range of projects, he was exposed to a number of different construction methods and procedures as well as being able to visit a couple of sites. We wish Alfie the best of luck with his continued studies. 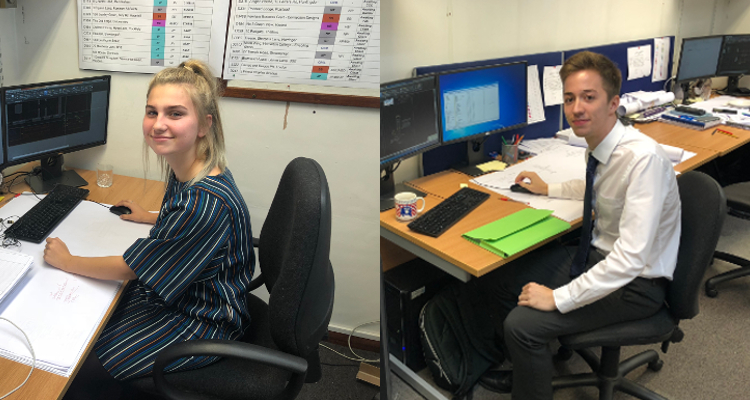 Morrish Consulting Engineers are very proud of the work experience placements and opportunities we offer and should you be interested in coming to see us, please do get in touch. It is with great sadness that we had to say goodbye to Lloyd a couple of weeks ago. Adventurer Lloyd will be going off to Denmark in September to do his masters and we wish him the best of luck. In true Lloyd fashion, his leaving do involved beer and we had a great night at the Greene King brewery tour - followed by alot of tasting and some food in the local DnP. We'd like to introduce and welcome Marie as our latest member of staff at Morrish. Marie will be the first port of call when either popping in or phoning the office and is responsible for helping with the day to day running of the business whilst also looking after the accounts and supplying everyone with copious amounts of coffee! Lloyd, as his alter ego 'Super Structures', has recently been helping out on the ICE stand at the latest Big Bang event. 'Big Bang is the largest educational event of its kind in the UK' and helps to highlight not only Civil and Structural careers to young people, but also an array of pathways that the STEM section offers. 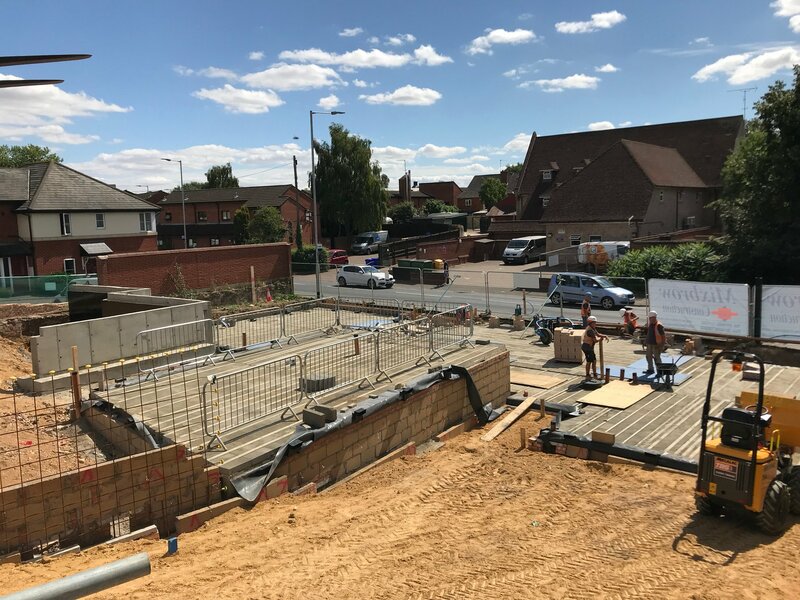 Morrish Consulting Engineers regularly help with local STEM events having attended events at both West Suffolk College and Thurston College as part of apprenticeship week. Could you be our next Office Administrator? 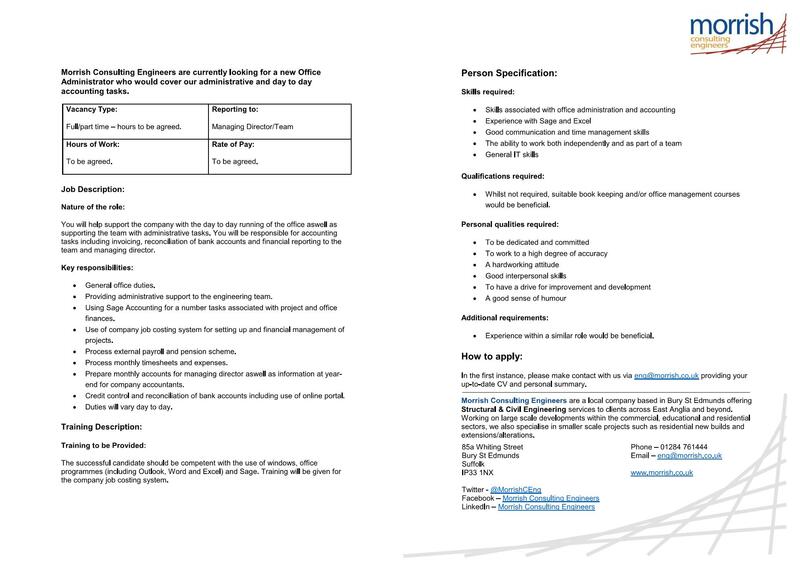 Morrish Consulting Engineers are currently looking for a new Office Administrator. You will help support the company with the day to day running of the office aswell as supporting the team with administrative tasks. You will be responsible for accounting tasks including invoicing, reconciliation of bank accounts and financial reporting to the team and managing director. If you think this could be you, please get in touch. Details can be found within the job description which can be found HERE. We're pleased to announce the promotion of Nathan Parker to role of Associate Director. 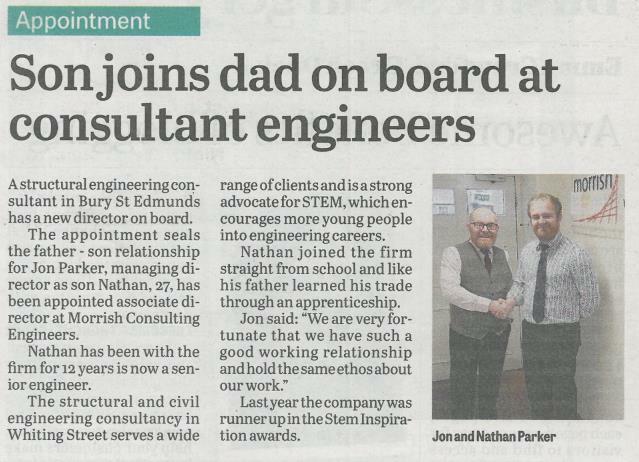 Nathan has been with Morrish Consulting Engineers for over 12 years now and we look forward to what the future holds for the company going forward. If you're a young person soon to be leaving further education and interested in a career in structural engineering, our trainee structural technician role maybe for you! 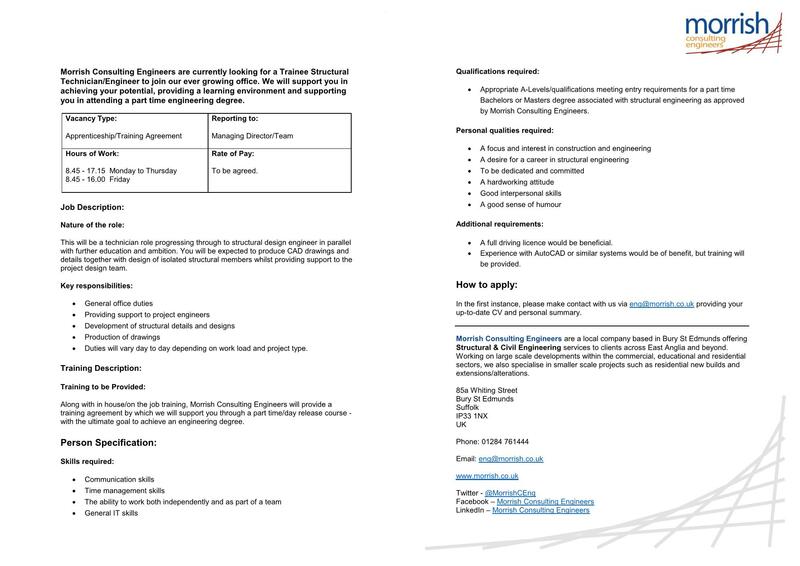 Morrish Consulting Engineers are currently looking for a Trainee Structural Technician/Engineer to join our ever growing office. We will support you in achieving your potential, providing a learning environment and supporting you in attending a part time engineering degree. Click hear to view the full brief/job description and if you feel you'd be suitable please do get in touch. Today is the opening of the ICE Exhibition ‘Invisible Superheroes’ at One Great George Street, London. This marks the start of the Institution of Civil Engineers’ 200th year celebrations, which I’ve been lucky enough to be part of. The idea of the comic superhero theme is to enthuse the younger generation visiting this exhibition and show them the importance of Civil and Structural Engineering around the world, channelling the STEM Ambassador work we do here. 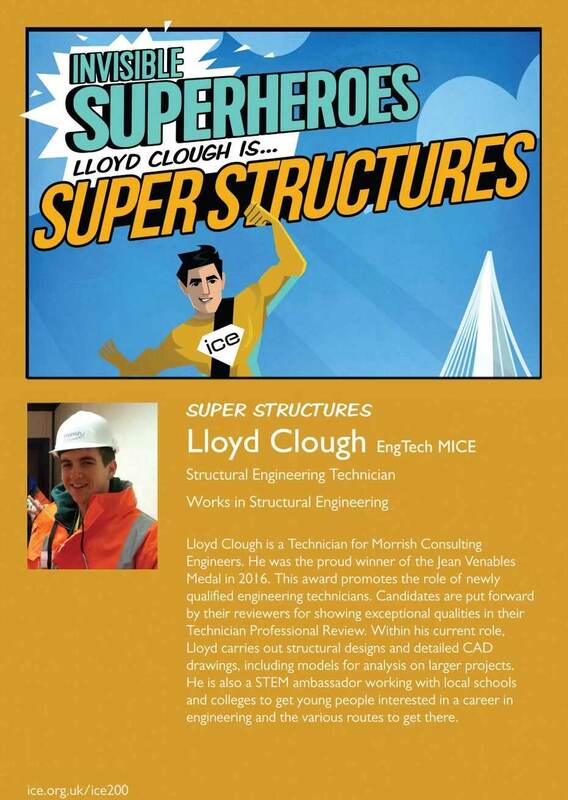 I have been depicted as ‘Super Structures’ in a group of 10 Engineers, all of which have very inspiring backgrounds that I urge you to have a read about when you have a minute. If you’re in London the next coming months, it may also be worth a visit - from photos I’ve been shown, it looks a very impressive display! Last office day – Thursday 21st December 4.15pm at which point we’ll be donning our frocks for our Christmas party. We’re then back in the office (much heavier) on Tuesday 2nd January 8.45am. Wishing you all a very Happy Christmas and prosperous New Year! 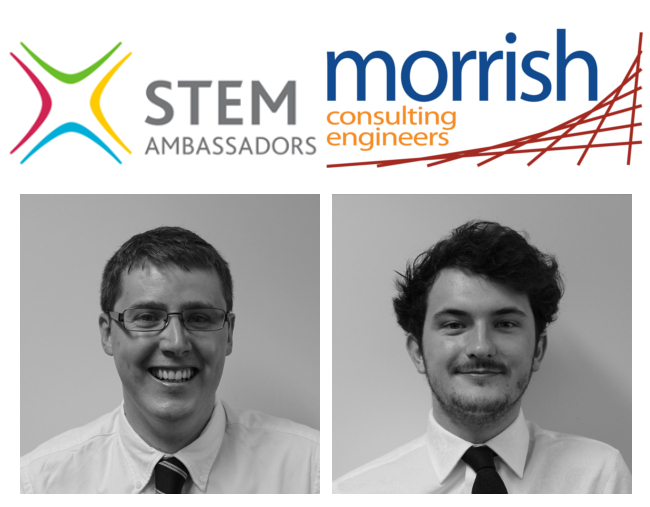 Ben and Harry become the latest members of Morrish Consulting Engineers to become registered STEM ambassadors. 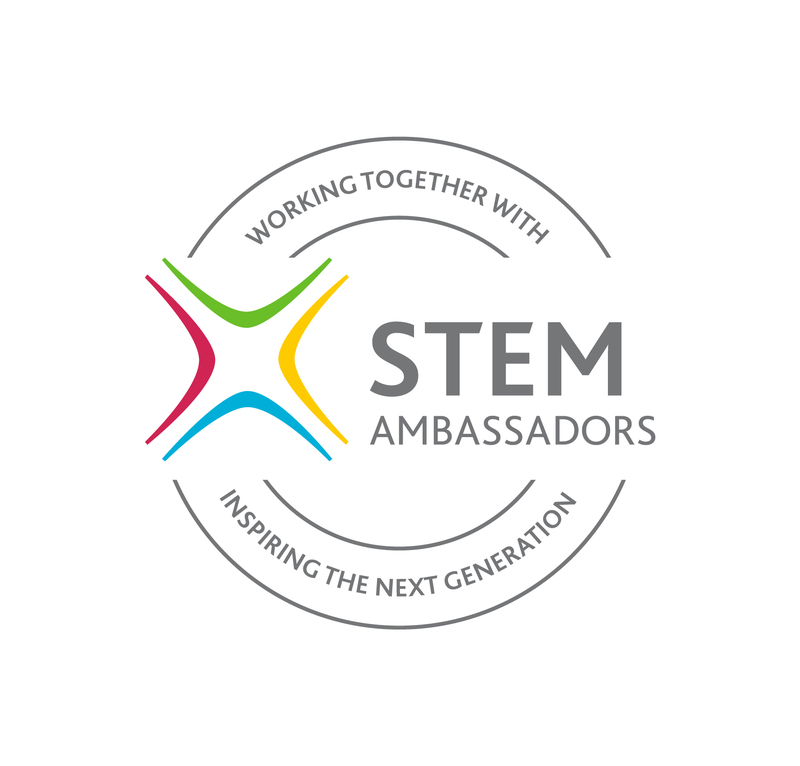 This means they're CRB checked and registered with the STEM ambassadors network. They'll be helping with our on-going involvement with STEM activites visiting schools and careers events.